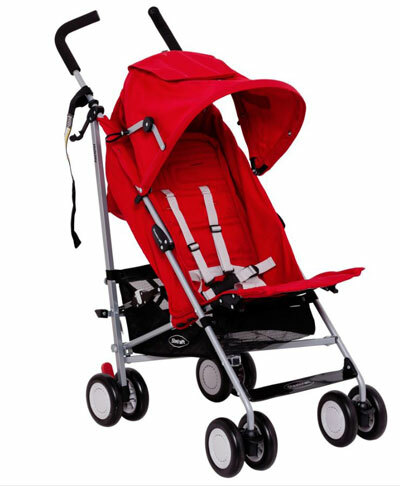 Prams can vary in price from $25 to $2,500 and beyond. But cheap prams aren’t necessarily bad prams! You might not be able to get all the of the features you one in one pram, but if you priorities what is most important to you then I’m sure there’s something in this list to suit everyone. This is a basic, no frills, small, simple, CHEAP little umbrella stroller. My bestfriend has owned one of these practically pocket-sized strollers for several years and despite it’s lack of features, she still highly recommends it. It doesn’t recline, it’s not suitable from birth, the wheels are tiny so only good for flat surfaces (smooth footpaths and shopping centers), there’s no basket, the hood is basically just decoration and it only goes up to 15kgs, BUT what can you expect for $25 – and they come in some pretty fun colours and designs. As far as cheap prams go, you can’t get much cheaper than that! This simple but attractive stroller is currently on special at Harvey Norman for the absurdly low price of $97 – however it can be found at Big W for $179. The seat fully reclines, so is suitable from birth right up to a hefty 20kgs and has a surprisingly large basket and hood. At either price it is incredibly good value for money. Whenever I’m asked to recommend a good, cheap stroller the Steelcraft Holiday is always my first suggestion. This stroller does recline so it can be used from birth, it has a little basket that while you won’t fit a large nappy bag in you’ll still fit a handbag and a few bits and pieces. The leg rest is adjustable and there’s a little foot rest to stop toddlers putting their feet on the wheels. The wheels are pretty small so this is also strictly for footpaths and indoor use. Also, as far as I know it only comes in red. 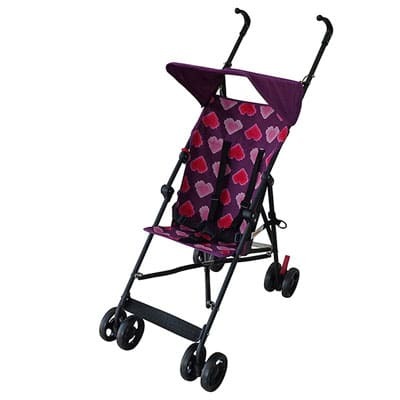 This is a full sized, three wheel style, pram that comes with a lot of great features. 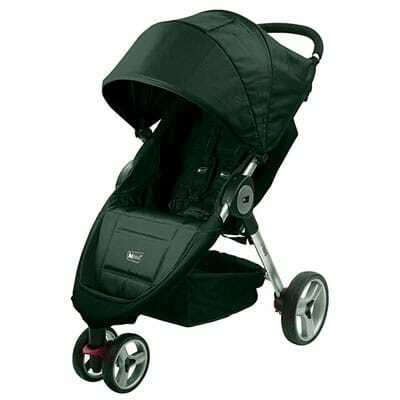 It has a good sized basket, a full coverage hood, travel system compatible and the fold mechanism is similar to the Baby Jogger City Mini, actually they’re very similar looking prams. 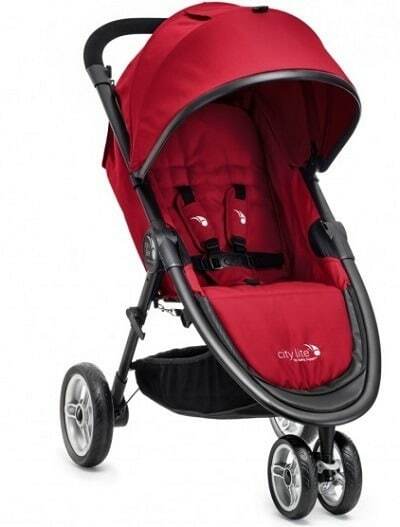 The wheels are a reasonable size, so you’ll be able to take this pram across some moderate everyday terrain. Nothing too intense, but grass and playground mulch will be fine. 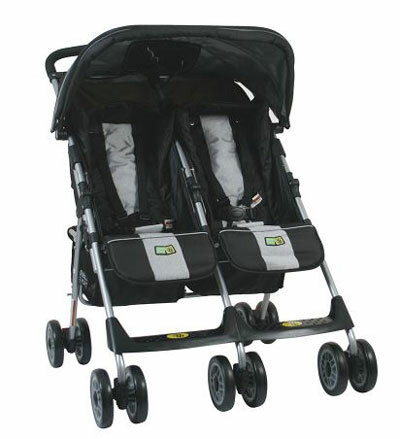 This is a great value double stroller. It’s reasonably light with a 20kg weight limit per seat – which means it’s competing with some of the higher end strollers. The basket is divided in two, which could be handy for keeping things separate and organised, however it might be a bit of a struggle to fit a large nappy bag in either side (Unofficially though you could just hang a bag off the back of the handles) Speaking of handles – it’s theoretically possible to steer one handed, but I can’t imagine that’s an easy feat with two heavy tots – but should be fine with babies. Also a baby and toddler side by side might feel a little uneven to steer. 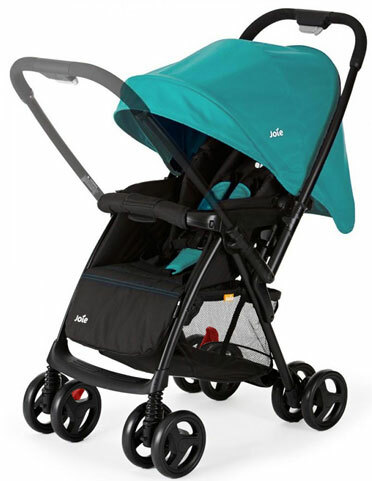 The Joie Mirus Stroller is a super lightweight and clever little stroller. It has a good sized basket for such a compact pram. It folds easily one handed and even has a standing fold for easy storage. The most exciting feature is the reversible handle – which allows you to switch baby from forward to parent facing without having to disturb them. 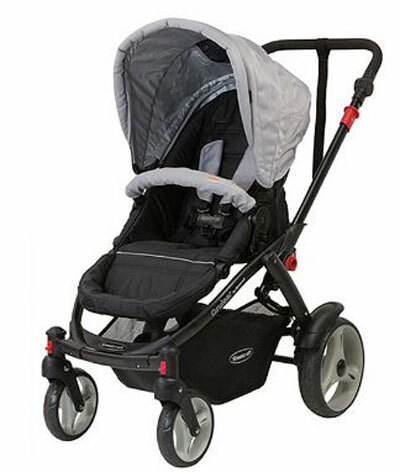 The Steelcraft Cruiser has many similarities to the Strider prams for less than half the price. It has a large basket, reversible seat, good sized wheels so will handle a bit of “off roading” (grass, playgrounds, uneven surfaces etc). The main seat does not lay completely flat so it’s not suitable for a newborn and as far as I can find there is no bassinet attachment, however there is a compatible capsule for $199 and a complete travel system for $449 is an absolute bargain. 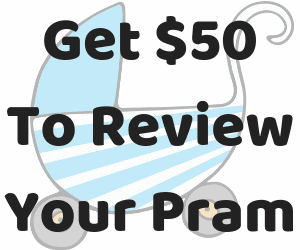 The Redsbaby move actually made my Top Ten Prams of 2016 list as the best value pram and it’s currently on sale for $249!!! Which means it offers incredibly good value for money. 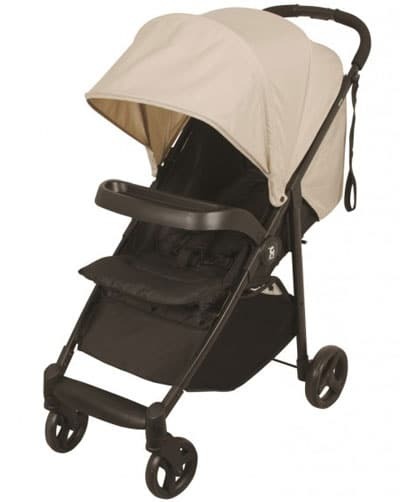 It’s reasonably lightweight and compact, it has a 25kgs weight capacity, it’s super simple one handed to fold, suitable from birth, adjustable handle height and large extendable hood – a lot of features you wouldn’t expect to find on cheap prams! 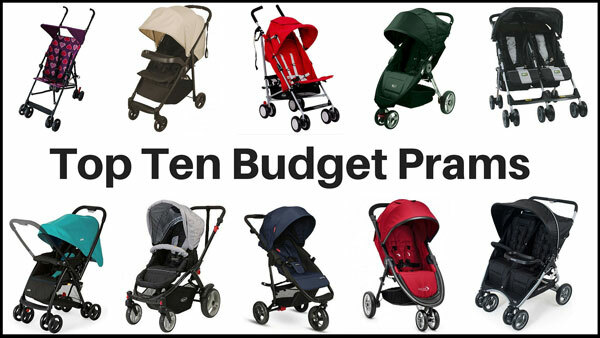 If you’ve read my previous “Top Ten Prams” lists you’ll know I’m a BIG fan of the Baby Jogger City Mini – so I’m glad I get to include this model on a list of cheap prams! This is a slightly different pram, it’s essentially the budget version. This video here perfectly shows the differences between the two, but if you have your heart set on the City Mini then the City Lite is a pretty good runner up for a lower price tag. It’s super light 7.3kgs and has a whopping weight capacity of 25kgs. It’s suitable from birth, has a great sized basket and hood. 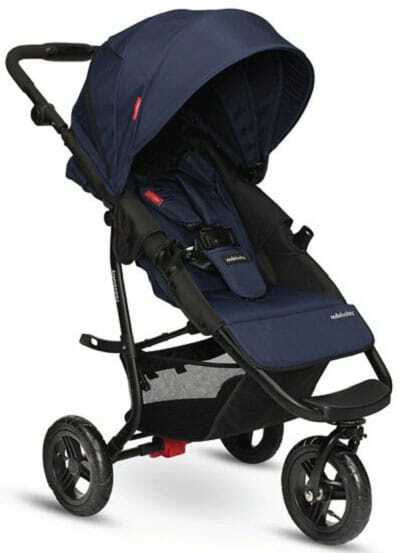 An all-round great pram, and an excellent brand, for it’s price. The Valco Baby Snap Due is incredibly lightweight for a full sized double and has a seat capacity of 20kgs a seat and is suitable from birth. The seats have a one hand strap recline and big “peekaboo” windows at the back. The basket is HUGE, but there is a bar in the middle which could make it tricky getting a large nappy bag in and out. The fold is also really simple and while it’s pretty bulky to carry it does have a handy shoulder strap. 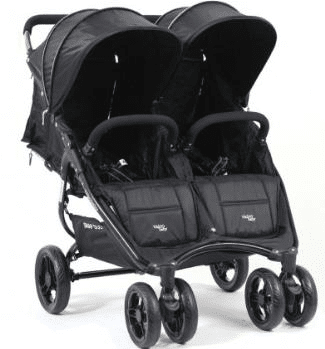 Even though it’s not exactly the cheapest pram – it’s well worth stretching the budget a little for this excellent valuable double pram. Great range of strollers! 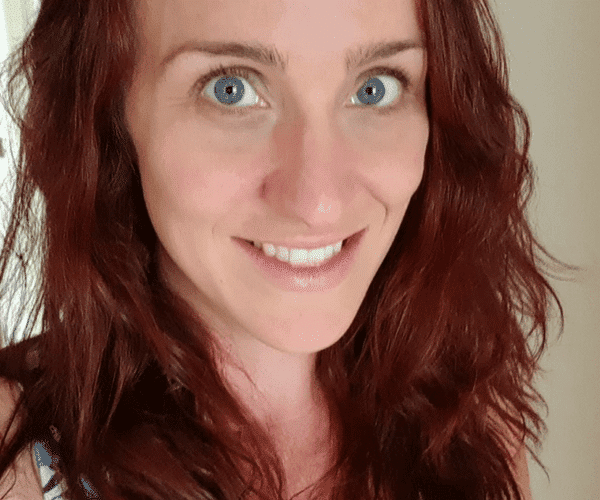 My fave has always been the Uppababy range – are they available in Australia?